The film begins with a voice-over explaining that Masafumi Kobayashi, a famous paranormal investigator, died shortly after completing a documentary on a mysterious case. 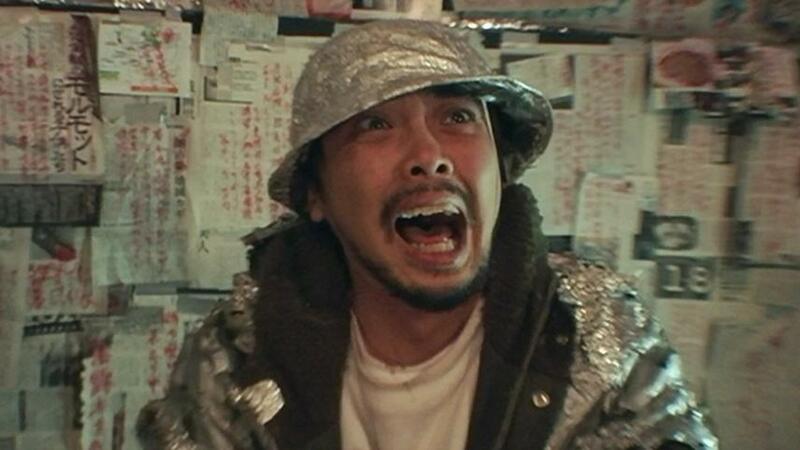 The following film takes the form of a found footage documentary, following Kobayashi as he investigates peculiar occurrences that may have a supernatural explanation. Looking at telepathic children, disappearances, a blood rite, an ancient demon, and other unusual happenings, Kobayashi soon finds himself getting dangerously close to the heart of the mystery. The found footage style of the film works well, with certain television personalities playing themselves, and a choppy, cut-up style that adds to a sense of disorientation. It sprinkles in clues as events unfold and keeps the audience watching closely for anything that might help them establish connections between events. Seemingly unrelated or insignificant details are briefly glimpsed and then later return with a moment of revelation. For the most part the film relies on building tension with a series of simple effects, such as rope being knotted by someone in their sleep, or somebody standing stock still and groaning. Most of the gore is reserved for the later portion of the film. The horror aspect relies on you finding the idea of restless spirits, demons, or telepathy, plausible. However, even without that there is a solid central mystery being unravelled that will hold attention. “The Curse” is a solid, if slightly generic, horror fare. The idea of ghosts or spirits returning from the afterlife is a common feature but given an interesting twist here with the realism of the documentary style. The film creates a believable set-up by introducing you to the investigator and also including fairly mundane interviews along with the more eerie occurrences.